Deposits, withdrawals, transfers, loans. That’s what your middle names could be. Your bank teller resume looks like it’s defaulted. And won’t get you a job. Let’s give it a makeover so the other candidates look like the only transactions they were ever responsible for involved a retro cash register. A bank teller resume example better than 9 out of 10 other resumes. How to write a bank teller resume in our builder and land more interviews. Tips and examples of how to put skills and achievements on a bank teller resume. How to describe your experience on a resume for a bank teller resume to get any job you want. Bank Teller Resume Example - See more templates and create your resume here. If you look trustworthy people will be more keen on cooperating with you. The same is true about your bank teller resume. It must look great for the hiring manager to inspect it eagerly. Pick the reverse-chronological resume format. First of all, that’s the best resume format to highlight your key achievements. Second of all, recruiters are familiar with it, so they find it easy to read and navigate through. To be 100% sure your formatting doesn’t get messed up, save your bank teller resume as PDF. It’s the only format you can truly bank on. Pro Tip: It’s a good idea to try and match your bank teller resume to the company culture. 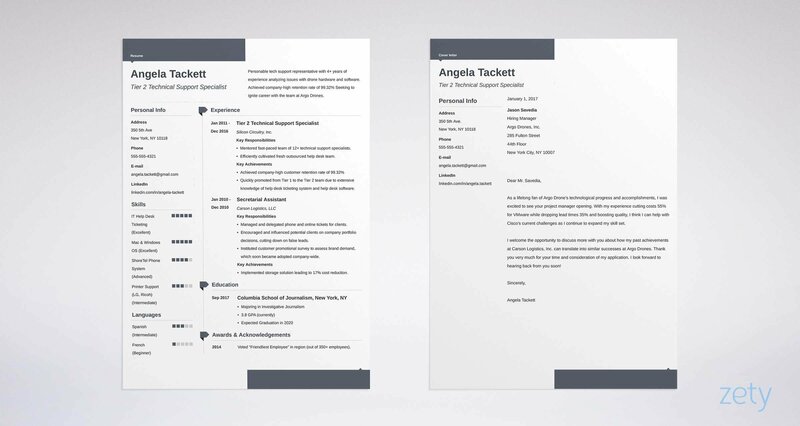 In our resume builder, you can find templates in a variety of styles: formal, casual, or creative. This is why your bank teller resume must instantly give the recruiter a reason to hang around a bit longer. The best way to give them such a reason? Start it with a bank teller resume objective or summary to remember. Before you learn how to nail yours, let’s take a look at the difference between the two. A bank teller resume summary is a brief… summary of your professional life and key achievements. It works best for candidates with at least a couple of year of relevant work experience. Here’s what a professional summary for a bank teller resume may look like. Experienced customer service representative with 5 years of experience interested in joining HSBC. Flawless record with handling cash flow. Looking to apply my outstanding math skills and precision in a professional and challenging environment. Looking for a challenging job that will make the most of my wide range of abilities. What’s so special about the good example? It begins with your strong character trait. Calls the company by name. Shows what you have to offer. In contrast, the bad one doesn’t tell us much about the candidate. A bank teller resume objective brings your skills to the fore to prove you’re a perfect fit. It’s advisable for career changers and freshers. Reliable and detail-oriented employee looking to apply my record keeping and accounting skills in a banking environment. My people skills and accuracy will allow me to make a significant contribution to any team. If you’re writing a bank teller resume objective with no experience, focus on the specific skills the recruiter is after. Think about your relevant experience (not necessarily in the field) and make good use of it. Do you know what it really takes to close any deal, and leave the customer satisfied? You must convince them they got exactly what they need to get the job done. That's why you must craft your bank teller resume job description with care and attention. They’re never gonna call you back. Keep calm, and read on. Stick to the reverse-chronological order: list your latest position first, then the previous one, and so on. List your job title, company name, and dates. Put up to 6-7 bullet points for each position. Quantify your experience with percentages and numbers. Numbers speak louder than words. Tailor your resume to a specific job opening. Focus on what’s relevant to this particular position. Our resume builder will offer you guidance every step of the way. Just follow tips from our career experts and you’re sure to get every single detail right. To raise customer satisfaction levels, I created a customer satisfaction survey that allowed our bank to double its levels of satisfied customers. Greeted customers according to company script. The wrong example doesn’t tell us much, does it? In contrast, the right example follows the so-called PAR formula (Problem-Action-Solution). In short, it states what the problem was, what actions you took to solve it, and what results your actions led to. When wording your bank teller job description bullets, stick to the phrases you can find in the job ad. Your resume will be initially scanned by the so-called ATS (Applicant Tracking System) in search of keywords for bank teller resumes. If it finds too few of them, your resume will be rejected before any human even has a chance to lay their eyes on it. And you don’t want this to happen. You might want to make some parts of your bank teller job description stand out more. Edit the text so the recruiter focuses on what you want them to see. Try our resume builder now. Resumes don’t get people jobs. Your bank teller resume is a vessel for your skills. So make sure it docks safely in the recruiter’s mind. What skills to include on a perfect bank teller resume? Go for the skills that count. Take another look at the job offer, and find the skills the company is looking for. You can also include some of your bank teller skills in your resume objective. You can put your key bank teller skills in a separate key skills section. Use the table below as a reference and source of inspiration. Pro Tip: Select up to 7-9 of your top bank teller skills for your key skills section. This way you’ll avoid the so-called Presenter’s Paradox. To make the best use of your resume real estate and highlight your skills section, try placing it in the sidebar on your bank teller resume. Add, remove, and move your resume around in our builder. Create your resume now. Give your bank teller resume a unique look and draw the recruiter’s attention to the most important sections. The exact bank teller education requirements are there in the job offer. Make sure your education section gives the hiring manager the information they’re looking for. Pro Tip: Only list your GPA if it’s upwards of 3.5 and you graduated in the last 2-3 years. The best candidates always go that extra mile. They need to look no more. Pro Tip: Your hobbies can show the recruiter you’re a perfect cultural fit. How About a Bank Teller Resume Cover Letter? You need to know that 50% of candidates do write cover letters. You’ll be even more surprised to learn that 50% of recruiters actually care about cover letters. Do you want to risk not sending a bank teller cover letter to a hiring manager who cares? Or would you rather overdeliver to the one who doesn’t? Take this one extra step and write your cover letter to show you’re a serious candidate. A well-written cover letter that matches the style of your bank teller resume will give you an edge over the other candidates. Writing a cover letter can become a gruelling task unless you know how to get it right. Here’s a guide that will show you How to Write a Cover Letter in 8 Simple Steps [Proven Template]. Choose an elegant resume template for bank teller positions. Top your resume with a riveting bank teller resume objective or summary. Make a relevant bank teller job description for your resume. Show off your achievements, not responsibilities. Add extra sections, and show you’re a cultural fit. Always tailor your resume to a job offer and use the keywords you can find there. Are you writing a bank teller resume for the first time? Or perhaps you’re a seasoned pro eager to help the rookies out? We’d love to hear from you, leave your comment below!